After graduating from Roger Williams University with a degree in Business and a minor in Theater, he moved to New York City and began working on Wall Street. Five years later, he quit a career in finance to focus fully on his passion for acting. After a quick turn on "The Sopranos", roles came in steady on such TV shows as "Law & Order", "All My Children", "Lie To Me", "CSI Miami", "Cold Case" and films, such as "Che", "Taxi", "No Reservations" and Academy Award Nominated "The Visitor". 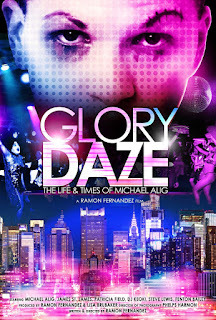 He is an award-winning Director ("Hot Tuesday", Atlanta Shortsfest) who completed his first Documentary Feature film "Glory Daze: The Life and Times of Michael Alig" in 2015 (Winner, Manhattan Film Festival). As a screenwriter, his work has been optioned by Robert Evans (The Godfather) and Michael Mailer (Black & White, Empire). Often playing heavies on both sides of the law, Fernandez is well known for his brooding intensity and explosive edgy character work. Although a US citizen, due to his European upbringing he speaks English, Spanish, French and Russian; he's also a prominent Voice Over artist, editor and published film critic.